Extreme have announced dates for a fall tour of Europe. The 3-week, 12-show run will open in Tilburg, Holland on December 3, with six dates on the continent before the Boston rockers play six more concerts in the UK before month’s end. Pre-sale tickets for a pair of shows in Germany are available now, with a pre-sale for the December 10 show in Paris, France starting August 3 at 10 am local time, while general public tickets for the continent will begin August 4 at 10am local time. Pre-sale tickets for the UK dates – with guests the Dan Reed Network – will start August 3 at 9 am local time, with general tickets available August 4 at 9 am local time. 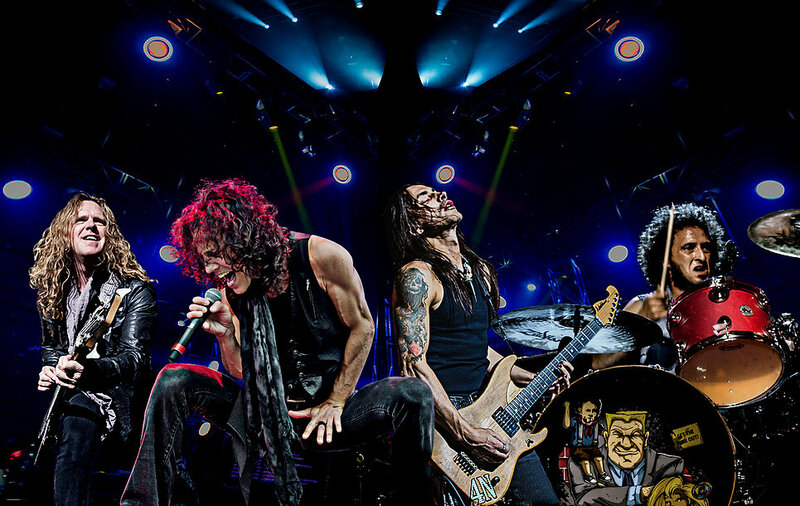 Extreme recently wrapped up a series of European shows last month with a July 29 headline appearance at the UK’s Ramblin’ Man Fair, and will launch a handful of US shows later this month. The group have been working on a follow-up to 2008’s “Saudades de Rock”, and are hoping to release their sixth studio album before the end of the year.